If you have an overactive thyroid (hyperthyroidism) or underactive thyroid (hypothyroidism) you'll need some extra care and monitoring while you're pregnant to keep you and your baby well. You have a normal chance of becoming pregnant as long as your overactive thyroid is controlled. It's best to conceive after you've been treated and you're no longer taking medicine for it, as the medicines can harm a baby's developing thyroid gland. However, if you do get pregnant it's important to keep taking your medicine. Your GP will arrange for you to see a specialist, who'll work out what dose of medicine will control your overactive thyroid while reducing the risk to your baby. 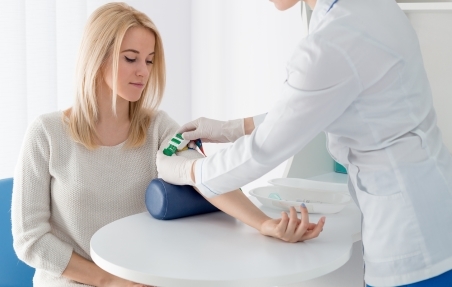 You'll need to have regular thyroid blood tests while you're pregnant. Unlike other women, you won't need to take iodine supplements while pregnant because they could make your overactive thyroid worse. You can't have a nuclear medicine scan or radioiodine treatment while you're pregnant, as they're not safe for your baby. If you're pregnant or planning to become pregnant you'll need regular blood tests to check your thyroid function. It's important that you have the right dose of thyroxine, for both you and your baby. If you don't have enough thyroxine you could have problems such as anaemia (not enough red blood cells), heart failure, problems with the placenta, or bleeding after delivery. Most women need to take a higher dose of thyroxine while they're pregnant, then go back to their normal dose once their baby is born. Written by HealthInfo clinical advisers. Endorsed by midwife liaison, Canterbury DHB. Page created June 2018.